The defense of Dr. Khailin Chong has been successfully held on 28 August, 2017. 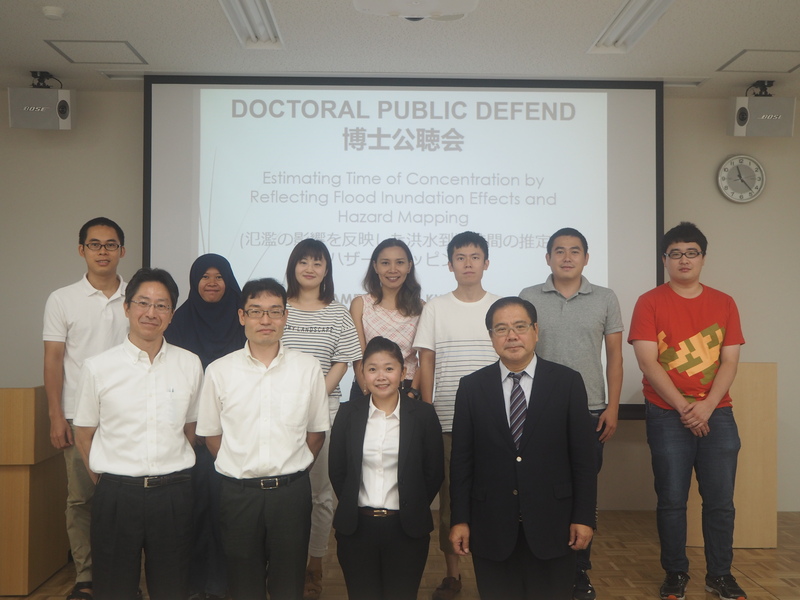 Takara-sensei, Tachikawa-sensei and Sayama sensei and students from Takara lab have attended this defense. 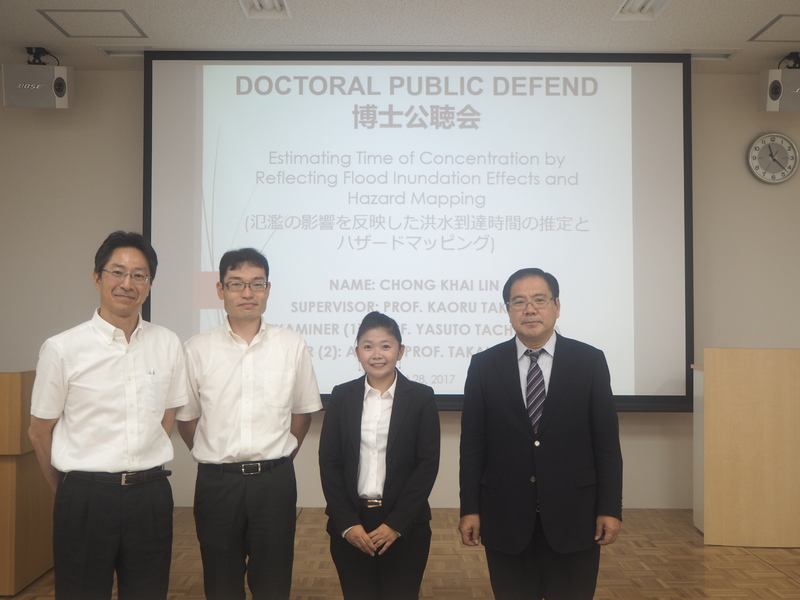 Dr. Chong’s defense title is ” Estimating Time of Concentration by Reflecting Flood Inundation Effects and Hazard Mapping”.